A hot topic right now is politicians using social media to communicate with constituents. One example is Michigan state representative Justin Amash. According to a 2011 article on mlive.com, Amash posts “all his votes, reasons behind them and other news from the floor on his Facebook page.” He emphasizes that it increases transparency for voters. In addition to [Chicago] Mayor Emanuel’s handle (@rahmemanuel), aldermen in 29 of the city’s 50 wards have Twitter accounts, according to a RedEye review, although each varies in how frequently he or she posts. . . . There is even an assistant professor at IIT, Libby Hemphill, who is tracking Chicago politician’s tweets looking for patterns about the information shared. For politicians, however, using Twitter (or Facebook) is not without risks. 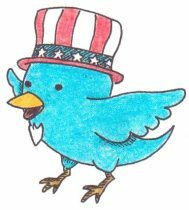 Twitter’s a dream for politicians with an itch to reach voters in candid, quick bursts, but the fear of jokes gone wrong, gaffes and hacks is becoming palpable. Because of the potential for gaffes, one democratic consultant recommends that politicians stick to Facebook and not personally post on Twitter. The best solution may be for politicians to hire professional tweeters to post tweets for them. As Wired covered in November 2011, many celebrities already employ “ghost tweeters,” who go to great lengths to copy their employers tone and voice while tweeting frequently in an effort to connect with fans and increase the celebrity’s profile. Of course professional tweeters are far outside the budget of most politicians (though probably not Mitt Romney), so they are stuck with drafting carefully.